P.T.P. 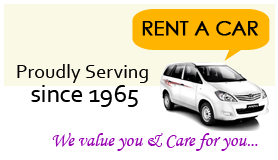 - 'Pinto Tourist Promotions', can easily be called the 'Premier' Tourist Promotions or the 'Pioneer' Tourist Promotions establishment of Mangalore – because of our over 50 years of experience in owning and managing a fleet and organising transport in Mangalore. Because of our professional efficiency, unquestionable reliability, personal care and trustworthy service; we are relied upon by multi-national companies, governments and star hotels and also others who value our qualities. From providing bridal cars, cars of every variety grade and standard, to buses and every other form of transport, including helicopters - we are your ultimate transport providers. As our name suggests, we are here not only to make your transport needs, our business, but we also promote a social cause, namely - 'Tourist Promotions' of Mangalore, Karnataka and India. we value you and care for you!